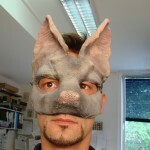 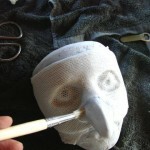 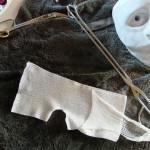 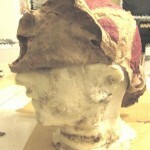 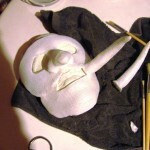 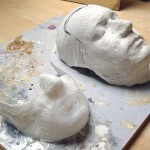 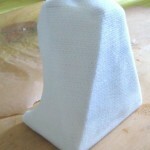 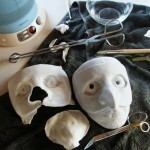 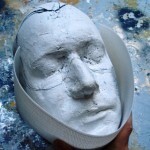 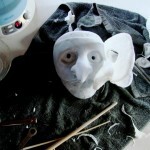 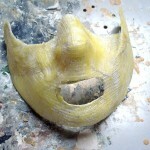 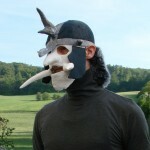 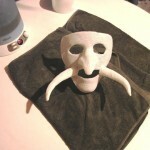 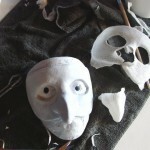 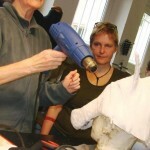 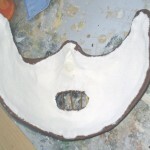 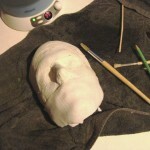 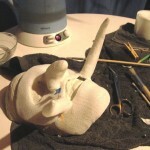 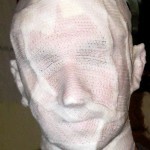 KobraCast is molded on a plaster face cast, with a separate nose piece shaped and added. 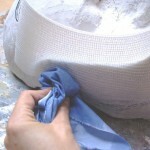 KobraCast contains a netting which is less flexible than the plastic itself; for increased moldability the netting can be removed using heat of approx. 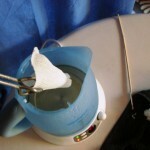 60° Celsius, as seen in the second photo. 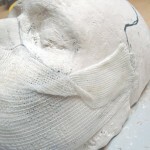 In photos 5 and 6 you can see the tip of the nose piece being shaped; just the tip is re-heated. 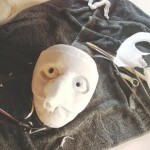 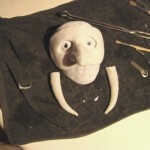 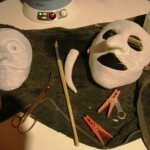 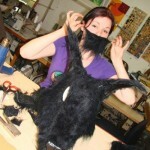 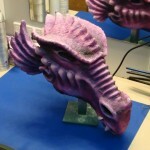 The finished nose is activated with a brush and hot water and then joined to the rest of the mask. 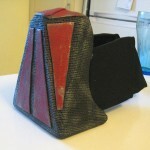 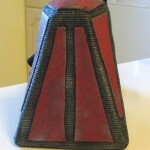 Cardboard is used to create the framework for a Sith-style mask; since KobraCast is air-permeable, the wearer can breathe through the mask. 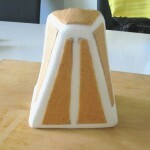 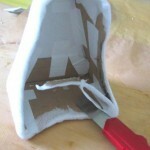 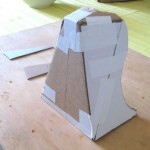 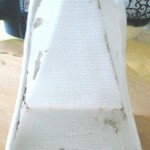 Then once the KobraCast is hardened, the cardboard is cut away. 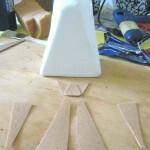 Decorations made of Worbla are added later. 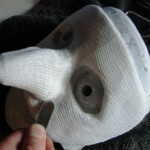 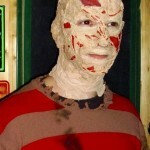 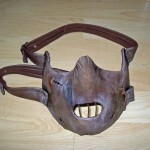 This mask was shaped directly on Ralf’s head. 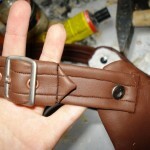 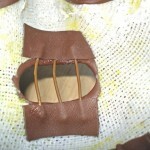 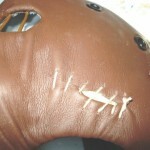 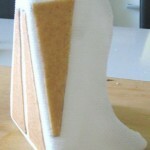 Because the cast remains flexible, it could be cut open in back and stripped away to the front. 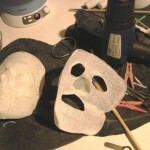 After the edges were smoothed with a soldering iron and the mask covered in wood glue, it served as a base for a latex mask. 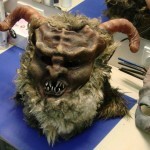 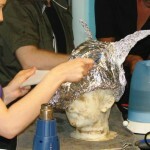 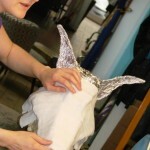 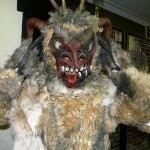 A Warg head is shaped using chicken-wire base, covered in aluminum foil, with KobraCast applied on top. 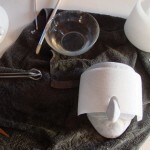 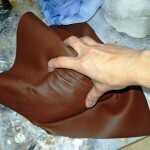 Fake fur is applied directly to the warm KobraCast by heating the surface and pressing down the fur. 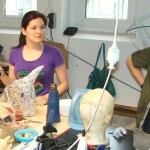 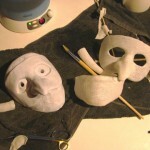 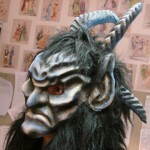 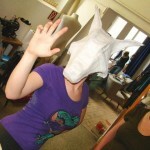 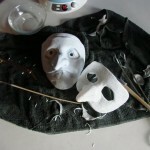 Masks made by Nationaltheater Mannheim.